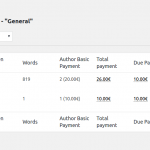 Author Basic Payment is an addon for Post Pay Counter that allows you to award authors a fixed fee for each payment. 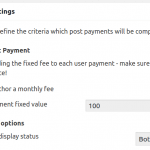 This is just the same as the Basic Payment feature Post Pay Counter already allows for posts. Basically, to the overall author payment some fixed amount will be added. You will of course be able to tweak the amount per user, or disable it altogether for some of them. This is ideal if you pay your authors a set fee per month, for example, and all other payment criteria (number of words and visits, etc) should act as bonuses/rewards. First of all, make sure you have the latest release of Post Pay Counter and Post Pay Counter PRO installed and active. As soon as you purchase the addon, you will get an email with the download link and your license key: download the plugin through that link, extract the zip and upload its content (the whole ppc-author-basic-payment folder) to your WordPress wp-content/plugins folder. 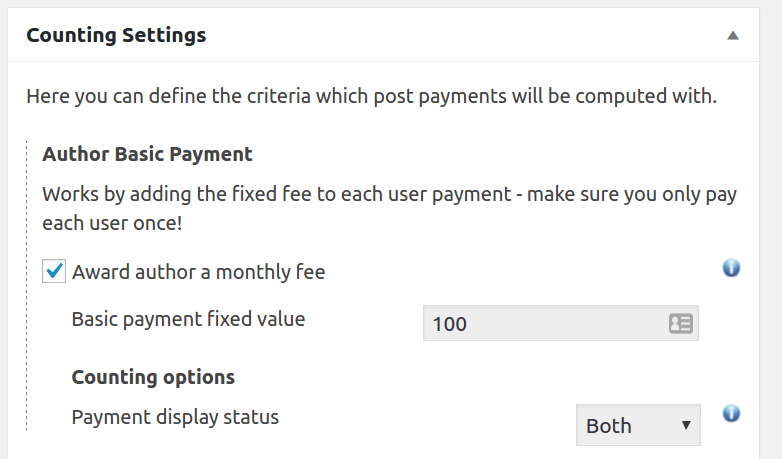 Now head over to your website plugins list page, look for Post Pay Counter – Author Basic Payment and activate it. Finally, go to Post Pay Counter > Options > License status, paste your license key in the apt field and hit Submit. You’re done: your license has been activated and you can now enjoy all the new features.